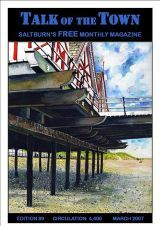 Talk of the Town, Saltburn by the Sea's local, free, community magazine. 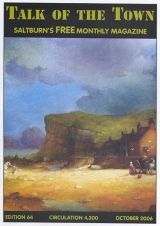 Talk of the Town Saltburn's local community magazine. ... News and views for local residents, low cost advertising for businesses and services in and around the Saltburn area. 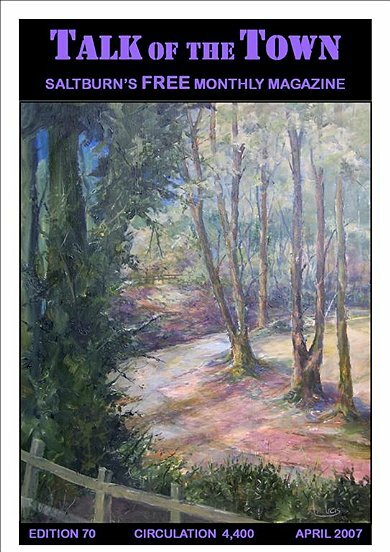 The April 2019 edition of Saltburn's informative, free, community magazine is now available to view online. The very first issue of the original Talk of the Town was produced in May 2001. Ian Tyas, having contributed to the crossword section of the magazine, became the editor of the Talk of the Town in February 2002. 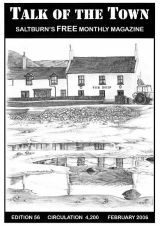 Today, having gone from strength to strength,the magazine is lovingly produced and wrapped in four full-colour pages with the careful balance between editorial and advertisements being maintained. You can now view a copy of the first edition online. Some calendar based items have been removed but it is interesting to note how many original and favourite contributors are here! 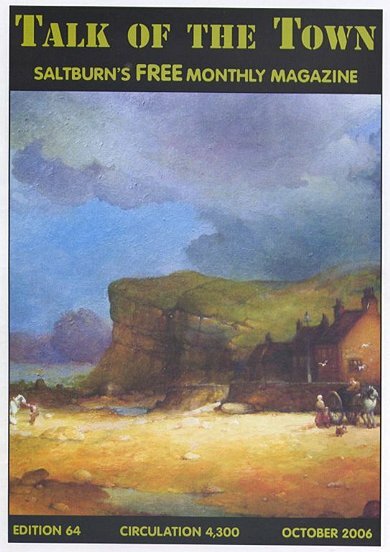 The October 2009 publication was the 100th edition of 'Talk of the Town'. Articles about the development of the magazine can be read inside this edition. 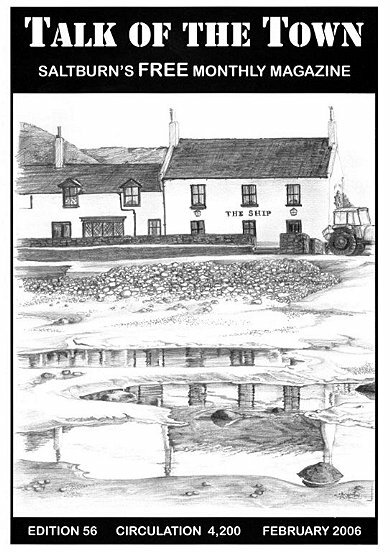 Saltburn's excellent and informative local magazine, 'Talk of the Town', won the category of 'Best Community Magazine' in the Redcar & Cleveland Voluntary Development Agency's annual award ceremony in 2006. The award was presented to the editor Ian Tyas, who has been running the magazine for the past 7 years. The magazine is distributed freely to local residents and has a current circulation of @ 4,500. It has developed and grown a lot bigger since its 16 page first issue. The March 2008 magazine, the 81st edition of 'Talk of the Town', had 56 pages. 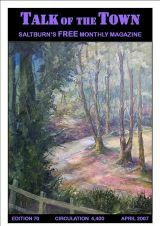 As well as keeping everyone up to date on local news and events the magazine has helped many businesses and services in and around Saltburn gain more sales. 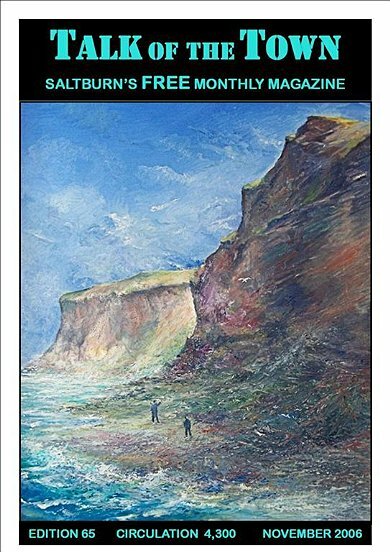 Covering the whole of Saltburn over a monthly period, â€˜The Talk of the Townâ€™ magazine is distributed FREE and is a very low cost, effective way of letting people in Saltburn know just what your business has to offer. 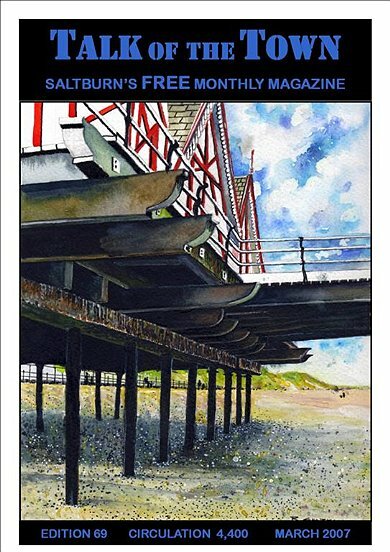 Businesses within Saltburn also receive a copy of the magazine, which is an added bonus, as many people living outside of Saltburn work in the town, so also get to see the magazine. Please note that SaltburnbySea.com is NOT associated with Talk of the Town. 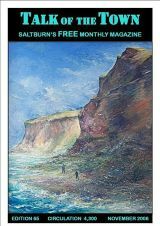 If you would like to advertise in the magazine please contact the editor and NOT SaltburnbySea.com.